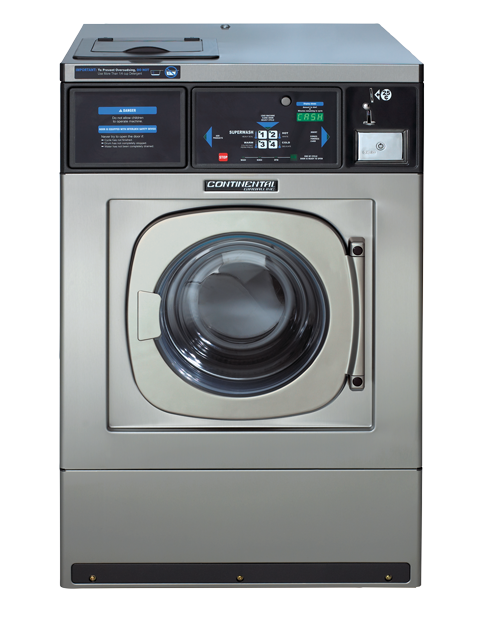 The ExpressWash high-performance coin operated washer is designed to cut gas, water and electrical costs while improving the user's experience. 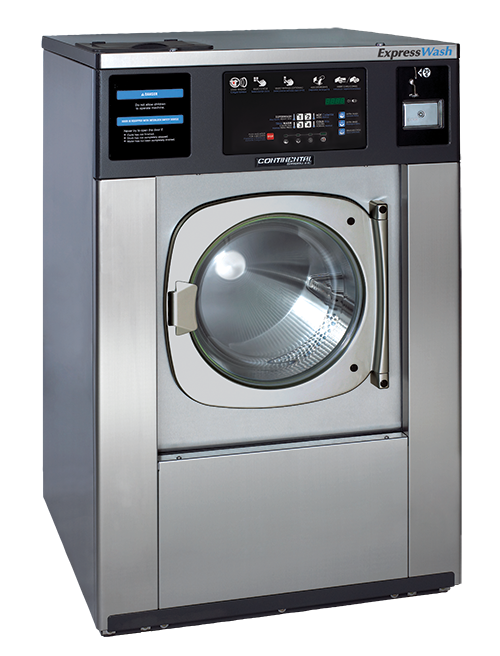 ExpressWash commercial coin operated washers deliver high-speed extract, a unique freestanding design and superior programmability! ExpressWash card and coin operated washers ensure customers' a 60-minute wash and dry! G-Flex Series Washer-Extractors – Continental's most advanced hard-mount washers – generate extract speeds reaching 200 G-force, offer a highly programmable ProfitPlus™ Control packed with customer-craved extras, and deliver superior results using less water and energy. REM-Series coin operated washers combine energy-efficiency with a space-saving hard-mount design. Engineered with exclusive features, durability and the ultimate in programmability, REM-Series commercial coin operated washers deliver a solid return on your investment. 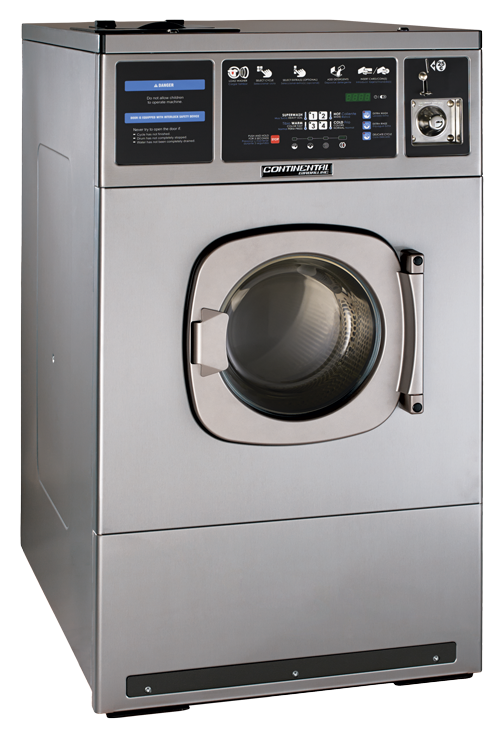 Relied on by the coin laundry industry for more than 30 years, the powerhouse L-Series hard-mount coin operated washer is durable, easy to use and flexible. 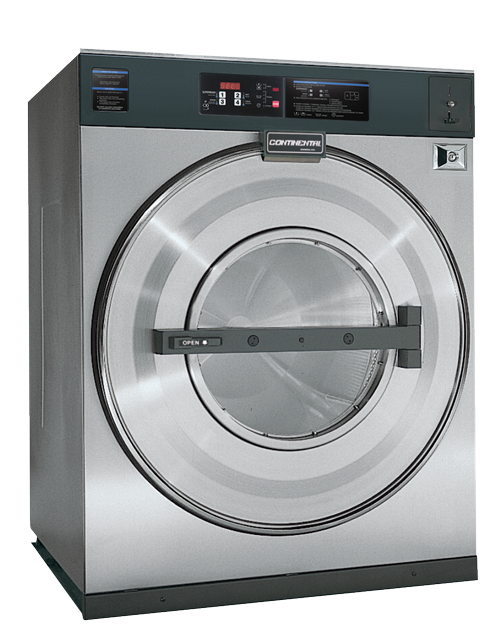 The L-Series coin operated washer is ideal for vended laundries looking to maximize profits and reduce maintenance.